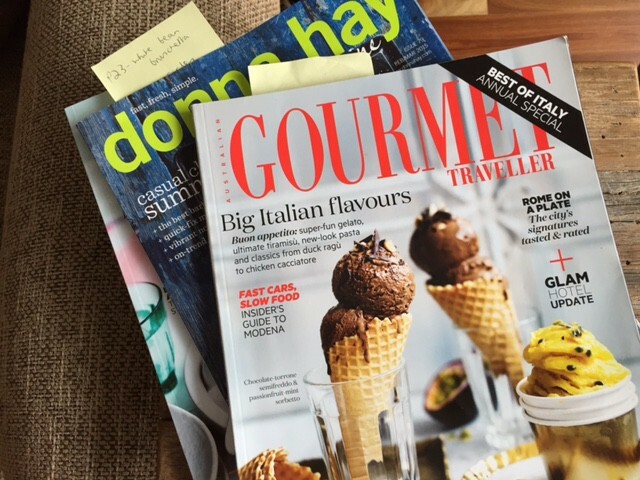 Despite having a mountain of cookbooks I still can’t resist the temptation to buy foodie magazines. I tell myself that if I find one good recipe then the investment is worth it. I use post-it-notes to represent my ‘must cook soon’ best intentions. But in reality my recipe surplus, as you could call it, means I don’t get around to making many of them, and the magazines sit idle for rainy day reading. So over the wet Easter weekend I enjoyed flicking through some of the back copies. In the 2014 Australian Gourmet Traveller, Best of Italy annual special I came across a recipe for spicy plum sauce – designed to be the perfect accompaniment to fatty cuts of meat, like my favourite slow cooked lamb ribs. 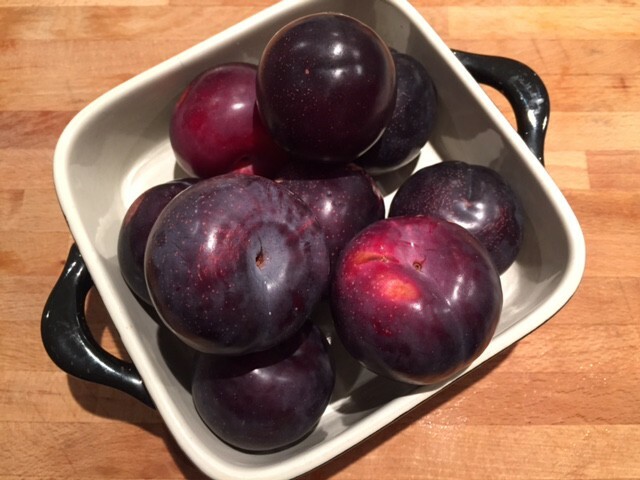 Plums are at their best in Australia as Summer turns to Autumn and luckily I found them at the bargain price of $2.99 per kilo. 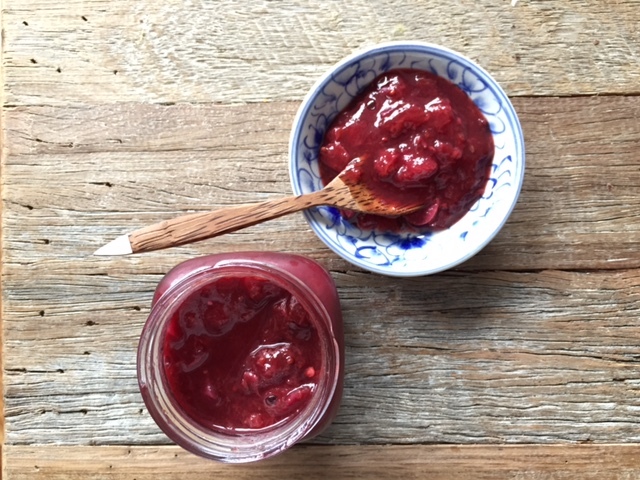 So armed with a kilo of plums (and an extra hour on my hands due to daylight savings ending) I created a rich plum sauce. The best thing? It took only 30 minutes or so. 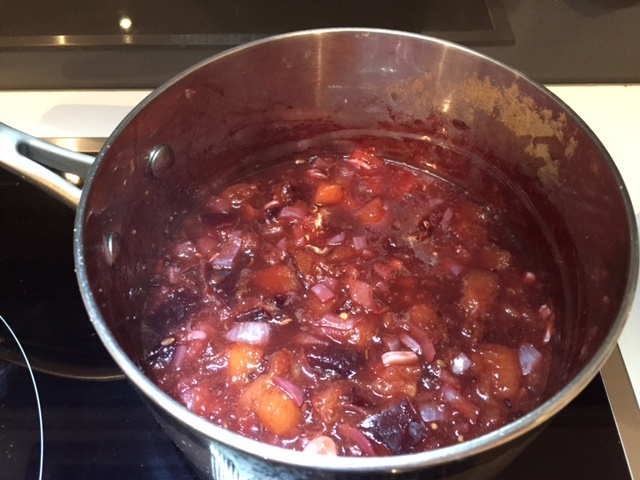 Add the plums, garlic, onion and vinegar to a large saucepan and cook over a medium high heat for 8-10 minutes or until the plums soften (stirring occasionally). Add all of the other ingredients and simmer, stirring frequently until the sauce thickens (20-30 minutes). Allow to cool and transfer to sterilised jars. Store in the refrigerator for up to 3 months. Serve with meat or as a dip with breads. Or as a sweet dessert treat alongside vanilla ice cream. 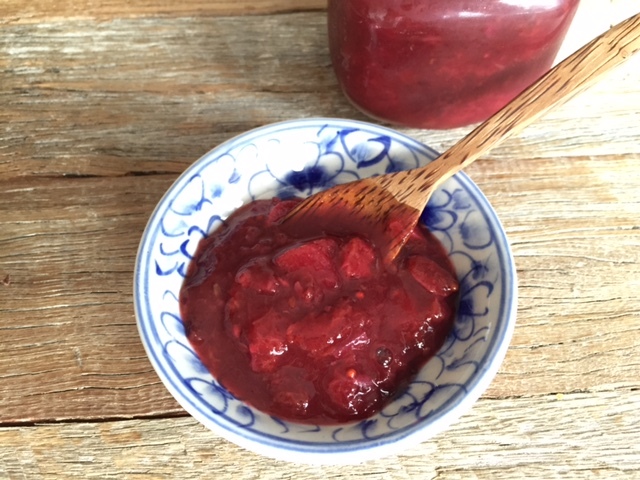 Tags: jam, plum, recipe, sauce, spicy. Bookmark the permalink. 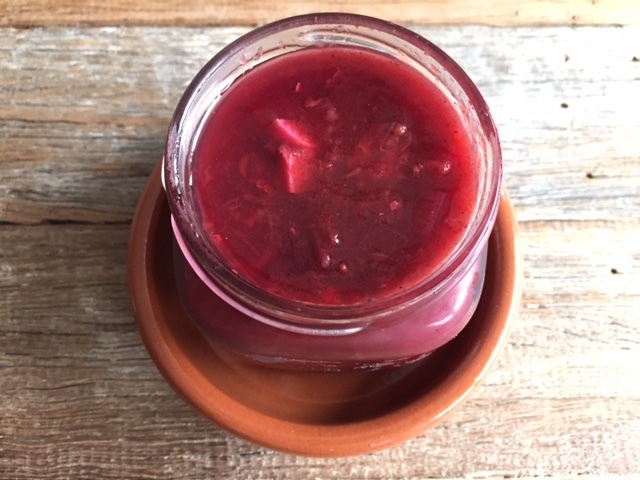 Trust me it is – I just enjoyed it with lamb and it is is even better than expected and sweet enough without added sugar! No it’s actually really sweet even without the added sugar – it tastes great with slow cooked red meat!